This is a good book for introducing kids to Japanese new year traditions. * I was disappointed that Hawai'i wasn't emphasized more. 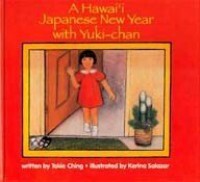 It's in the title, so it seemed like there might be some Hawaiian influence on Yuki's new year celebration. However, the story is still good. 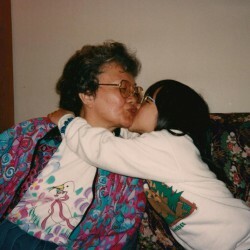 *There is one thing wrong in that as far as I know kobu (こぶ) on it's own doesn't mean happiness, but yorokobu (よろこぶ) does.